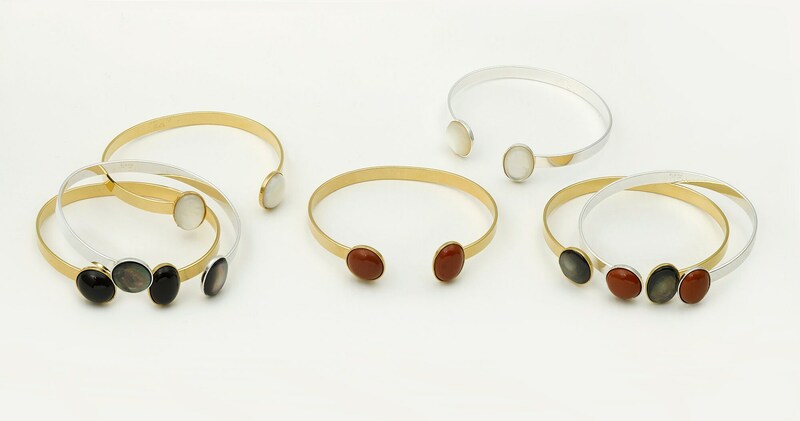 Bracelet in brass covered with silver adorned with two mother of pearl gemstones. Mother of pearl is a natural stone. Each stone is unique. Bracelet is sold by the unit. Size is adjustable. 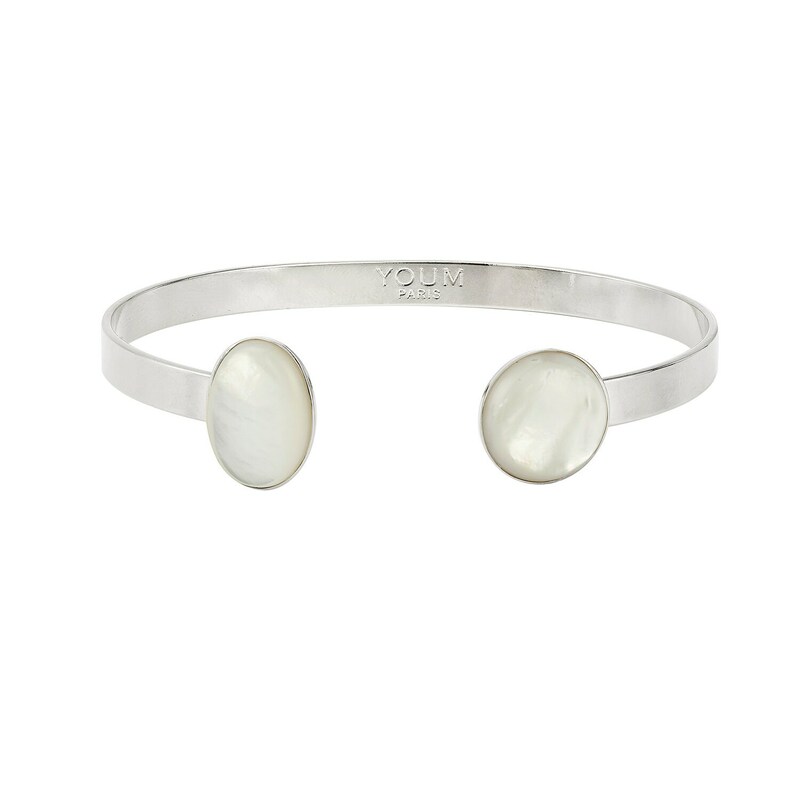 The mother of pearl bangle bracelet can be worn alone or together with other bracelets in the range. To see other colors or go back to the shop : www.youm-paris.com.